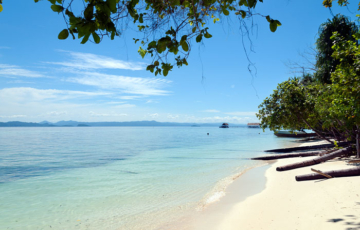 Over-water private bungalows and a fine white sandy beach at Pulau Kri’s quiet south shore hideaway of Warahnus Cove. 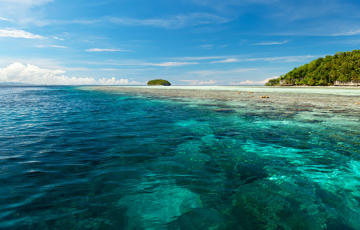 Among the very best of Kri’s reefs. 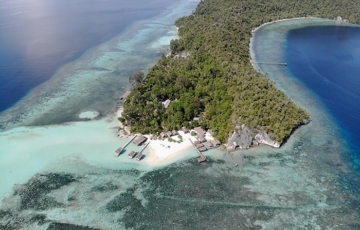 Over-water bungalows in front of a fine white sand beach, with easy access to excellent snorkelling & diving of western Kri, Ransiwor and Yenbuba jetty. 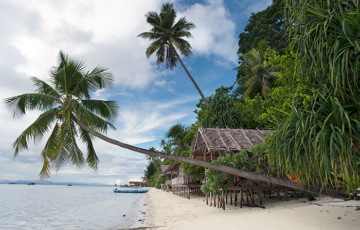 Large family bungalows on Kri’s fabulous north shore beach, an excellent house reef, and easy access to Kri’s dive centers and nearby Yenbuba village. Concrete-floored VIP bungalows with ensuite bathrooms and real beds, an excellent house reef, nearby dive centers and Kri’s beautiful north shore beaches. 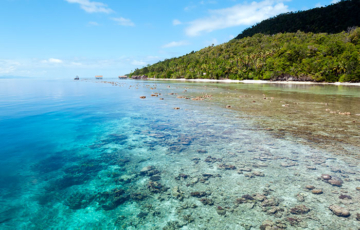 Bungalows with ensuite bathrooms, a deluxe VVIP bungalow, Dampier Strait diving and the delights of Pulau Kri’s popular north shore beach and reefs await. 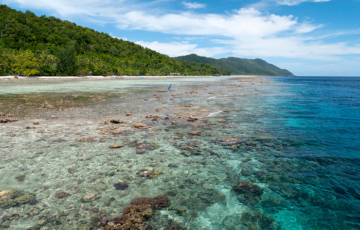 Kri north shore goodness: A great house reef, fine white sand beaches, private beach bungalows, snorkelling and long beach walks at the door, diving nearby. 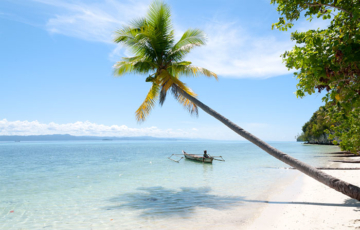 Private bungalows on the sands, all the marine delights and dive centers of the Kri north shore, and a fabulous beach in a peaceful and secluded cove. Private bungalows, beach perfection, and great snorkeling from a hidden bay at the quieter eastern end of Kri’s busy north shore. Diving available nearby. 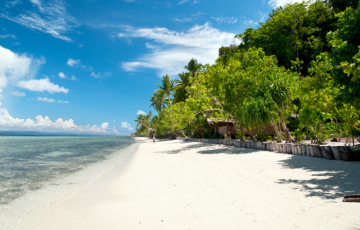 Private bungalows on a fabulous beach with a rich house reef. A peaceful Kri north shore getaway for snorkellers and ocean lovers. Diving available nearby. If real beds, ensuite bathrooms, electric fans and door locks are things you can’t live without, then Kri’s peaceful Delvin Homestay is the place for you. Panoramic ocean views from large private bungalows, a great beach, Kri’s famous reefs at your doorstep and dive centers next door. What more could you want? 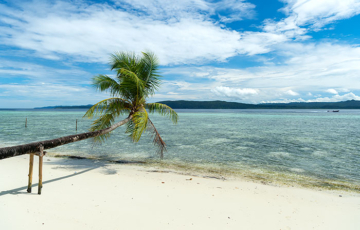 Private VIP bungalows with ensuite bathrooms, an onsite dive centre and a fabulous house reef. The biggest and the busiest. Booking in advance essential. 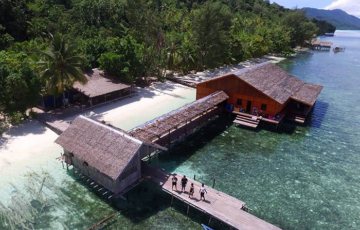 One of Raja Ampat’s first homestays, MK’s land and water bungalows command the bay at Pulau Kri’s western end: Perhaps the island’s most beautiful setting. 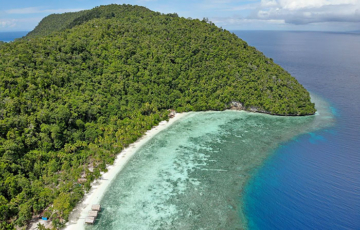 On Kri’s quiet southern shore, with an on-site dive centre, great house reef and ocean bungalow views, a meeting with lumba-lumba (dolphins) is guaranteed. 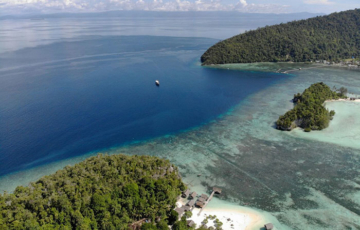 The only homestay with an internationally certified dive center, with a rich house reef and offering diving at all the best northern Raja Ampat dive sites.